The 54 quart Sterilite Gasket Box will keep your items stored safe from air and moisture. They feature an air and moisture resistant gasket seal that is sealed tight with the secure latch lid. 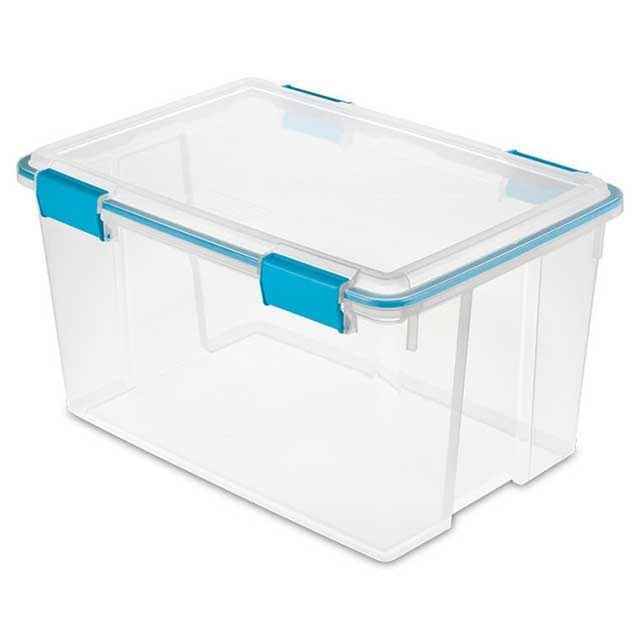 This Sterilite aritight storage container is ideal for storing paper, craft and photos but is also great as airtight food storage and pet food storage containers. Sold as a set of 4.